Etsy artisans continue to bring down the house with their divine handmade wares. 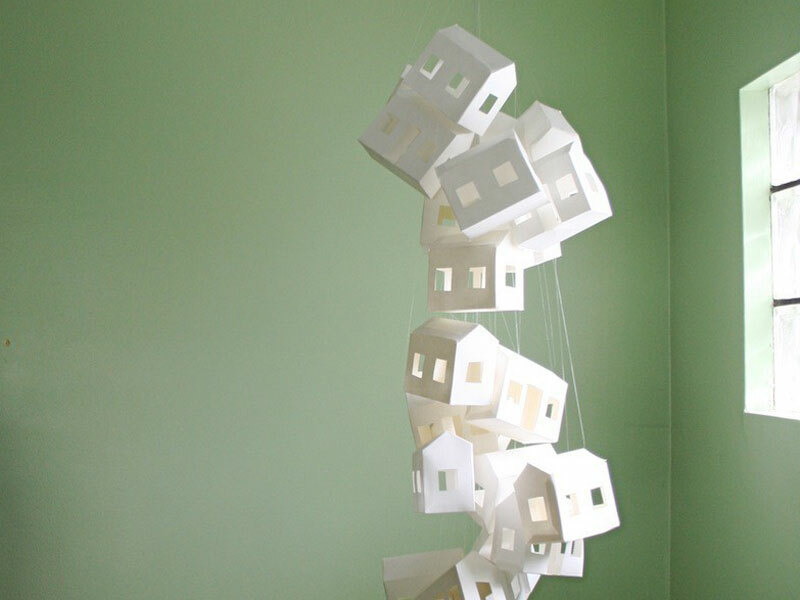 Specifically, with the whimsical Paper House Mobile from Creator B’s shop. Thirty hand-cut casas hung from a clear wire seem to magically float in mid-air. The diminutive dwellings include windows as well as doors which open and close — and the designer explains that these features make her decorative design a “lovely shadow-making, light catching mobile.” We think it’s the perfect addition to a modern nursery, delivering baby a clear-cut message that there’s no place like home. Etsy artisans continue to bring down the house with their divine handmade wares. 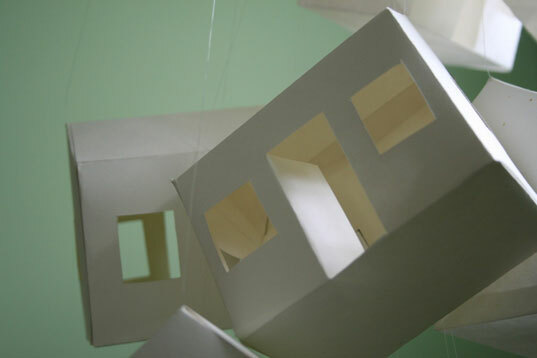 Specifically, with the whimsical Paper House Mobile from Creator B's shop. Thirty hand-cut casas hung from a clear wire seem to magically float in mid-air. The diminutive dwellings include windows as well as doors which open and close -- and the designer explains that these features make her decorative design a "lovely shadow-making, light catching mobile." We think it's the perfect addition to a modern nursery, delivering baby a clear-cut message that there's no place like home.